Above: Labor Chorus Director Pat Wynne leads protestors in a song at the Accrediting Commission for Community and Junior Colleges headquarters in Novato. Above photo courtesy San Francisco Chronicle. 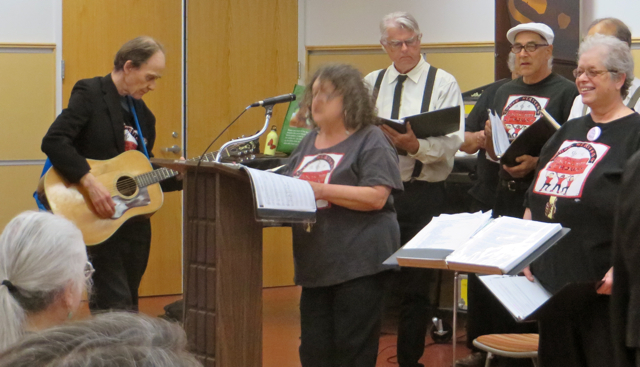 The Labor Chorus performed for a broad coalition of Alameda County labor unions, in Alameda Point Park, 2013. 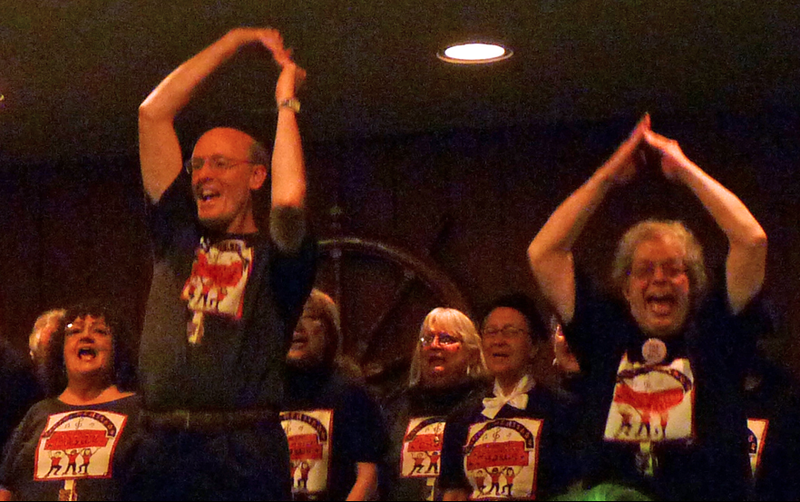 The Chorus performed for ILWU Local 34. Above: Chorus members singing “Bring Back the WPA.” More photos from this gig at the Blue Elephant Blog. The Chorus sang at the memorial service for labor leader Walter Johnson at Grace Cathedral, San Francisco. Above photo courtesy of Fog City Journal.